The Tampa Bay Lightning signed Dan Girardi, the former New York Rangers defenseman, to a two-year contract worth an average of $3M per season this morning. In doing so, they have acquired a defenseman who simply isn't capable of keeping up in today's game, and was bought out in New York as a result. 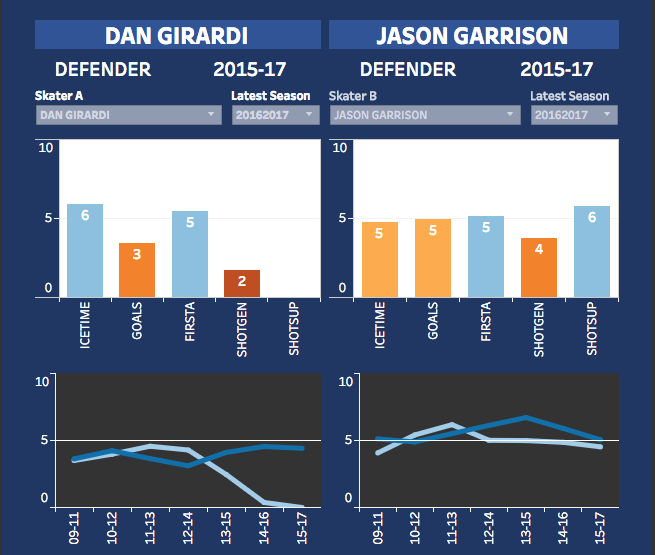 Garrison has been and is a better player than Girardi at this stage in their respective careers; the only area of the game where Girardi has "outperformed" Garrison in recent history is the amount of ice time he's been fed by his coaches. Merit clearly has little to do with it. Perhaps the most shocking thing on the chart above is the shot suppression metric. 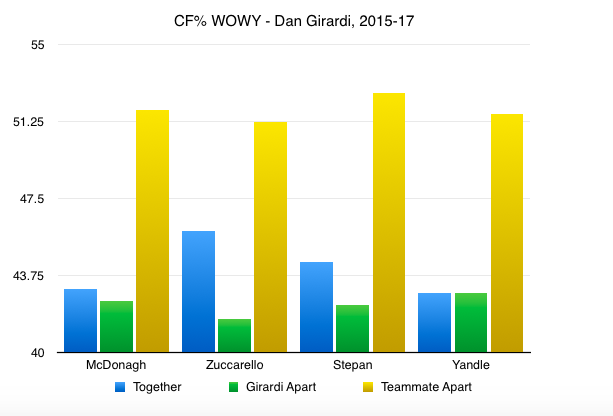 Billed as a stay-at home, defensive defenseman, Girardi doesn't even register as having an impact on shot suppression. He's not making his teammates better. He is actively dragging them down to never-before-seen depths. Given the price paid to acquire a player like Sergachev, and the fact that they spent a first-round pick on Koekkoek, it's likely best that those guys are kept as far away from Girardi as possible. He might be the greatest veteran presence in the world, but developing young players simply cannot be thrown into a situation where they will be expected to carry this much (read: all) of the load. It's not fair, it's not good for their development, and the lasting impact on them could be devastating to the organization. The bottom line: There is no good spot for Dan Girardi on a roster that see itself as some sort of Cup contender. The New York Rangers realized this, but unfortunately the memo appears to have skipped over Steve Yzerman's desk. This, my friends, is the head-scratcher of all head-scratchers. There is no rhyme. There is no reason. We don't need to take a "wait and see" approach; sometimes a player just is what he is. 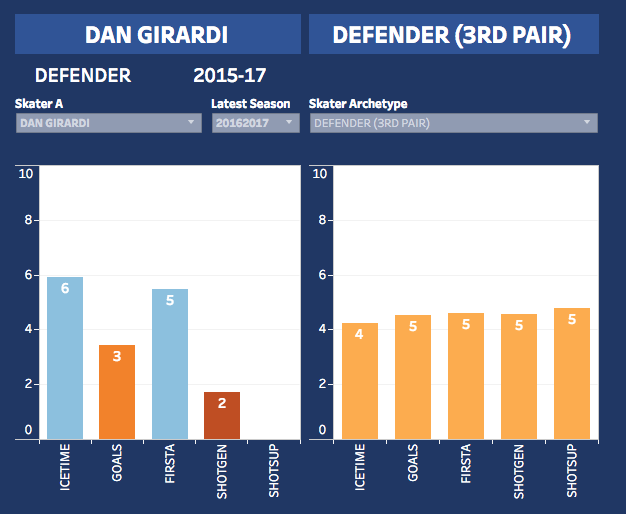 I'm sure Dan Girardi is a really nice guy, and he had a fantastic career in New York, but time and the speed at which the game of hockey is played today have both passed him by. © 2015 The Lightning Lounge | The blog is not associated with the NHL or Tampa Bay Lightning. Theme images by francisblack. Powered by Blogger.